Are you configuring the NG router or the Actiontec? If the Actiontec, you might set up the NG router as the main host router and configure PF rules there to see if they change by themselves. Swap main host routers to see where the behavior is. How is the R7000 connected? LAN to LAN in AP mode? I use the Actiontec for port forwarding and I only use the NG router (R7000) for WiFi access. As I previously posted , the NG router is connected Lan to Lan to the Actiontec. I disabled Wifi on the Actiontec and there is no Lan Internet on the R7000. Actually, I know what could be a good way to correct this situation. 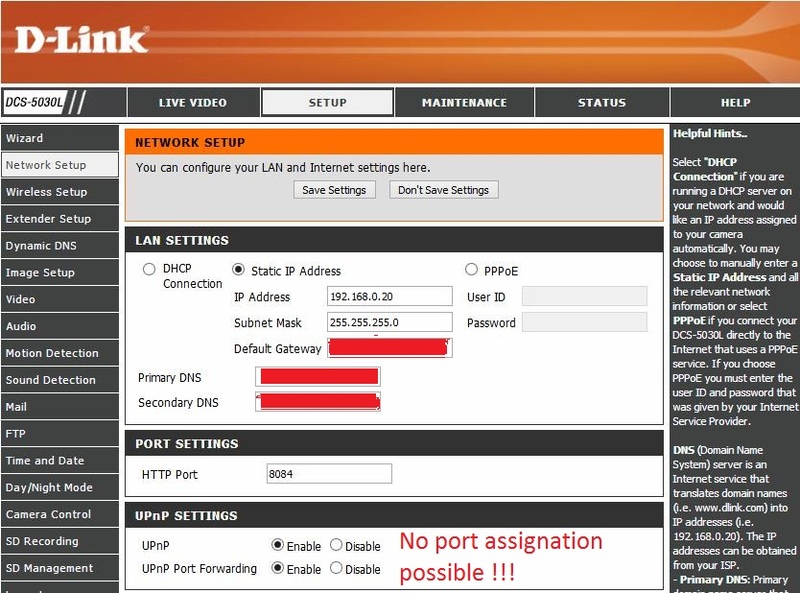 With two other DLink cams, DCS-2230 and DCS-2630L, I don't have any problems at all since I started to enable uPnP port forwarding and assigned ports to them. They never changed anymore since that time. Ok, I presume that the PF configuration on the Actiontec modem/router maybe there behavior if it's changing there. Something you might ask them about. However, when you do have two or more D-Link cameras on the same network, it's recommended to have uPnP and uPnP Port Forwarding enabled on ALL cameras. Works with all 3 of my cameras with out issue. 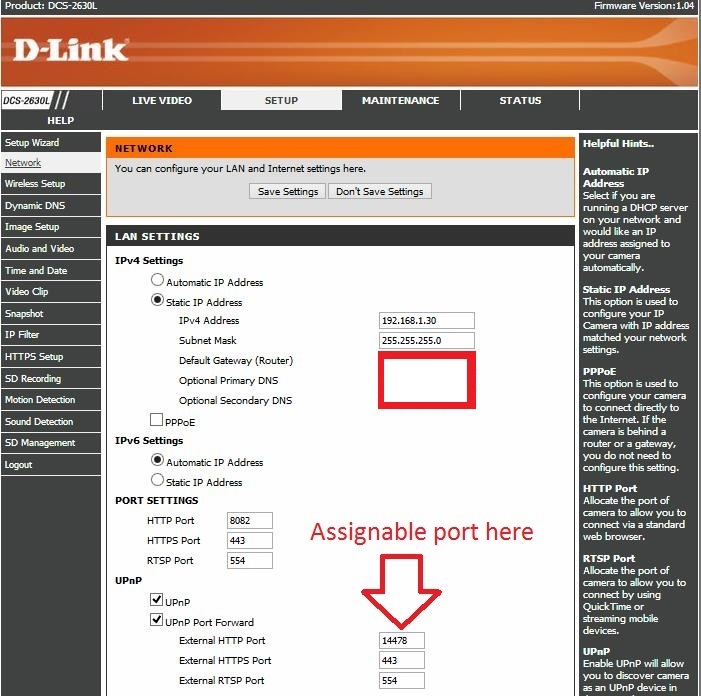 I presume that either maybe D-Link designed the 5030L to handle port configurations on it's own with out any manual user settings to help avoid possible mis-configurations or left this feature out for unknown reasons. I presume all is working now? As you can see on all pictures, I do have PF enable for these three CAMS. Yes, everything works but the 5030L changes its port by itself maybe once a week since there is no way to assign a port in its web software agent. This is what I'm trying to explain since the beginning of my thread. 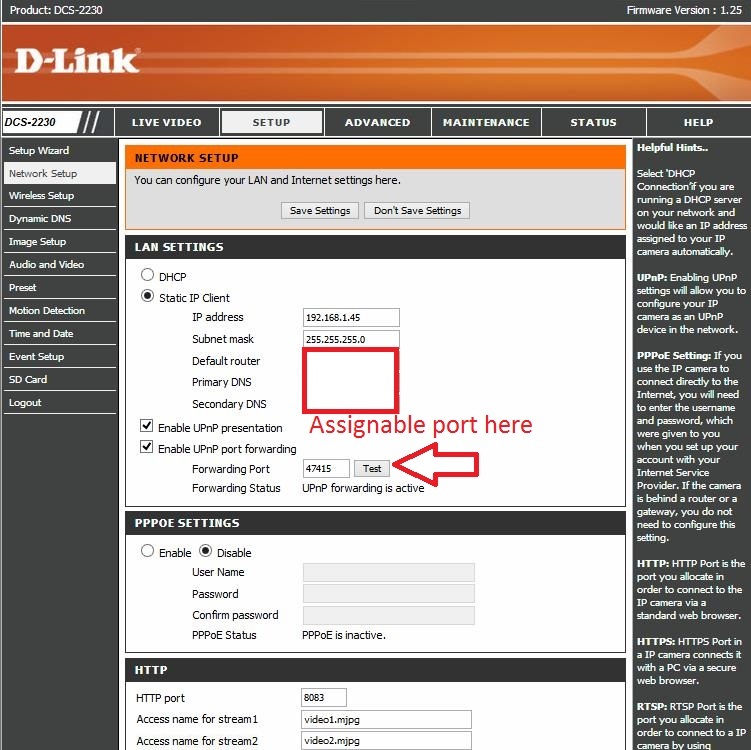 I don't see why DLink doesn't offer an assignable port for UPnP PF in its software agent! Just making sure you understand. Ya I don't know either. Well, yeah it's working besides the fact that about once a week I need to change the port in my IP Cam Viewer Pro third party app if I still want to access this specific cam remotely, which is very annoying. I can't see any other workaround for now. Does the mydlink Lite app work with the 5030? Yes it does, and it always work even if the port changes. But, I have a total of 10 cams at home and only three of them are DLink cams. I don't want to have to use different apps in order to access remotely to all my cams. Actually, I use IP Cam Viewer pro, which is a great app to manage all my cams. The only problem I have with it, it's when the port changes for this only cam. If I don't find a solution, I will drop it for another one, which will be my best optio I guess as I can see. Might be a good solution. Get another camera that has the manual port input feature. I am surprised too that this camera doesn't have the option to change the ports. I will forward this to the D-Link camera people. Cyber, so if you ran a Shields Up! port scan, does the test show your ports as OPEN or STEALTH?